After two days of snowstorms giving us over 20 inches, there is another one predicted for tonight. Time to go back to the colorful, warm days of autumn. Although this one was rather damp, you couldn't beat the peace that was present at the lake that morning. 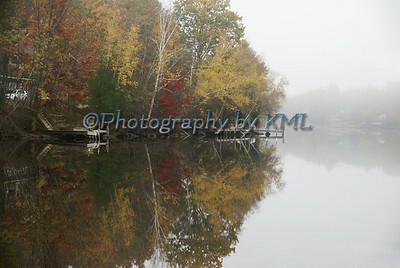 Not a ripple on that water - the fog making the foliage appear subtle - almost like a painting. We whispered when we talked - not daring to disturb the serenity. Treading lightly and slowly, we enjoyed this view of the lake that we seldom get to see. Last week I posted about an entrance to an old fort along the seacoast. 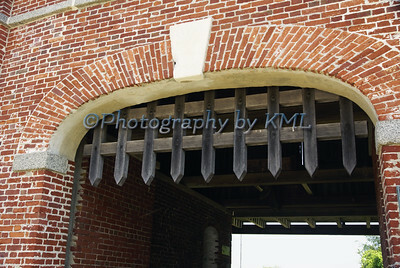 This week's photo is of a piece of the remaining fort. This is the wall that faces the sea - solid an thick to protect what is behind it. The stones are all stained with rust from years of being exposed to the elements. What intrigued me most with this shot was the way the top of the lighthouse was just visible from where I was standing. The fort is called Fort Constitution, which is located in Newcastle, NH, and it was first erected in the mid 1600's. The lighthouse was built in the late 1800's. Even though the lighthouse itself is old, it appears more modern when compared to the old fort wall. I think it is an interesting contrast. This is the eighth round of ABC Wednesday. If you would like to join in please visit this site for the details. One of the many winter storms we had this season was one of freezing rain and ice. As soon as the precipitation stopped, I was outside before it all melted off the trees and bushes. There were a couple of ice storms this year and each one coated the outside differently. The results don't last long though - usually the temperatures are right at the melting point. I keep waiting for one to happen, then have the sun come out to set it all sparkling. But that is probably asking for the impossible - the sun would make it melt even quicker. But if it does happen, you know where I will be! 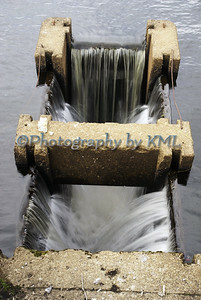 A couple of posts ago I showed an image of the water outlet at the dam. It was a wide angle shot that showed a part of the platform I was standing on too. I mentioned it was much closer than it appeared because of the lens setting on the camera. This image is what it really was - right there below my feet. All that water rushing in those holes made such a loud sound - I couldn't even hear my husband talking right beside me. Glad he was there too - my courage and shaking knees would not have allowed me to do it alone! This is quite a foreboding entrance way - but there is a reason for that This brick piece of architecture is the entrance to a fort that was built back in the days before the American Revolution. This gate comes down from the top - and there is another one on the other side, or inside of this structure. It is controlled by wooden gears and cogs that are designed along the inside of the roof. It was too dark to get any decent photos of them, but they were truly quite the work of art. This fort is right beside the entrance to the river that leads to the city, and there are several more of these forts along both sides of the river further up. 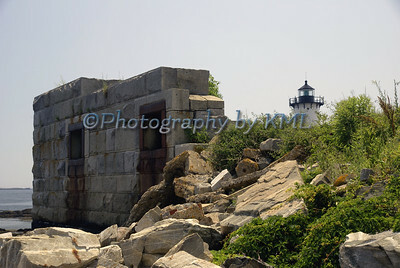 Most of them were in use right up through World War II - protecting the harbor and keeping an ever watchful eye. They are all closed now - open only seasonally and with very limited viewing. What history they hold! I peeked out the bathroom window - just like I do every morning to get a glimpse of the day. As I closed the curtain, something caught my eye in the tree. Upon a closer look - it was an owl - just sitting there in the cold falling snow. 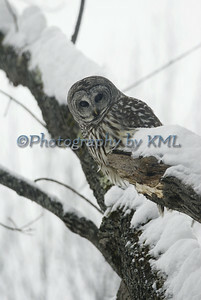 I could not believe it - daytime, snow, and an owl - those factors just didn't go together. He stayed for about three hours - taking a nap here and there. But he was quite aware at all times. He looked in at me through the window - I was so lucky to get this photo. And when the little mole that he had been watching made it's appearance, he didn't miss a beat. After his meal he left us, and I haven't seen him since. What a gift he was on that snowy morning! To love is to receive a glimpse of heaven - a quote by Karen Sunde Hope each of you is enjoying this day in your own special way! 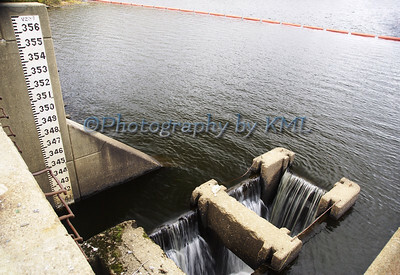 We were standing right above the water outlet beside the dam tower when I snapped this shot. The lens on the camera was set at a wide angle, so this outlet doesn't appear to be too close. Well, it was - way too close for my comfort. Watching that water rush down those holes was quite unnerving to me. Made sure the camera was wrapped around my neck and wrist. Made sure my cell phone was zipped in my jacket pocket. Made sure the two feet were planted firmly and flatly on the skinny cement walkway. Only then did I dare raise the camera to my eye. Quickly taking a few shots, I shuffled off that platform before my knees gave out completely. They felt really weak and shaky - I could just image getting caught in that stupid hole with all that water. I admit it - I am a wimp - but I did get a few photos! 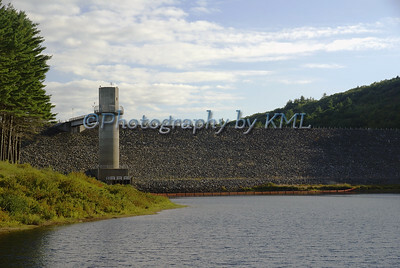 I have done several posts in the past that have featured this dam, but all the images of this piece of architecture were always taken from the walkway along the top of the dam. This time we were down in the park, and even though the sun wasn't at the best position in the sky for this photo, I was still able to get a shot of it. The whole thing looks so small from this angle, but it is actually quite massive. You can see the waterline on the tower as to how high the flood waters have gotten in this area. And those pine trees on the left of the image - I have seen the water so high that they were completely covered. The forces of Mother Nature are quite awesome! This is a Sponsored post written by me on behalf of PhotoFlashDrive by Pexagon Technology. All opinions are 100% mine. Pexagon Technology has a unique offering for photographers. For those provide images for their customers on USB flash drives or hard drives, they can now do so in a unique manner. Don't just hand off the ordinary flash drives when you can deliver a classy presentation. 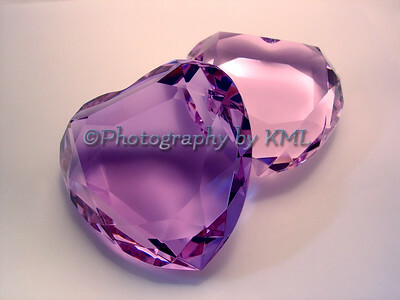 And it can also include your studio or business logo that enables you to get your name out there at the same time. These custom, flash drives for photographers, are Made in the USA. And the best part about them, photographers who purchase these photography flash drives will receive a 25% discount. That discount is for the flash drives, the portable hard drives, and the other custom products that they offer. They utilize both sides of their products - one side can have the logo, and the other side can have up to two lines of text. There are many styles and colors to choose from. There are no minimum orders to have to meet and there are no set - up fees. The prices that they have listed include the laser engraving. What a sharp presentation they make for any photographer or studio. Certainly something the customer will remember. They really have some great products at a great price - I was impressed! I knew he was outside with me - I had seen him when I was out in the backyard. 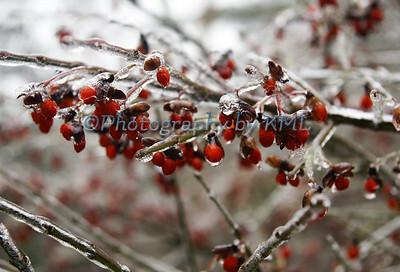 My last stop before I went in was to stop in front of an iced over bush in the driveway. Concentrating on the camera settings and focus, I stood quite still for a bit in one place. When I finished and went in my pocket for my lens cover, I saw that crazy cat. 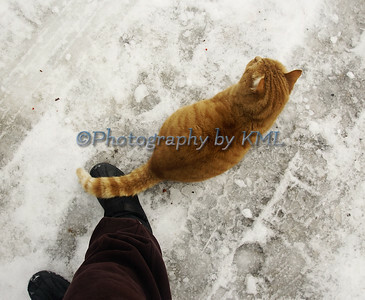 Rusty, our feral cat, had silently crept over to me, and sat at my feet. And proceeded to drape his tail over my boot. He stood watch, but I think he was really thinking that he was in charge, and I could leave when he decided I could. Either way, I had to smile. He is feral, and to have him stand by me is a special gift from him. 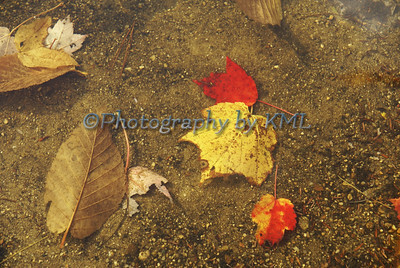 Resting on the bottom of the lake, these autumn leaves are still quite colorful. Many others were caught between some large rocks - but they were still all floating. Of course the lake is all frozen now and after the storm we are getting tomorrow, it is also covered in about 4 feet of snow. I would much rather look at these images of warmer days than look out the windows around the house. Nothing but huge white mounds in every direction!